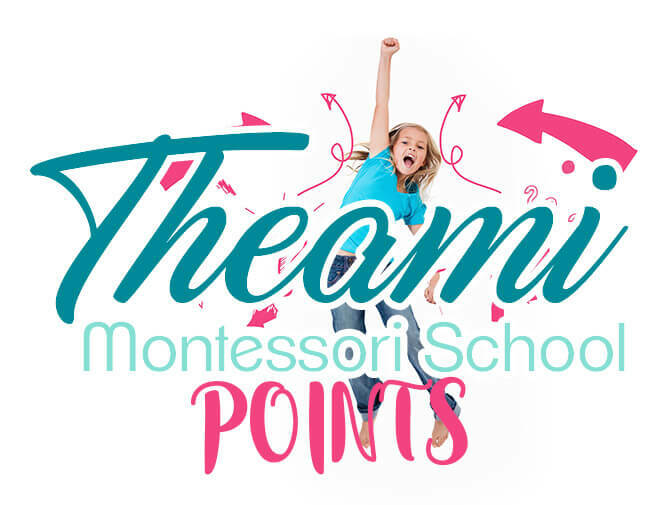 We will soon be implementing Theami Points to grow a partnership with our parents that will allow us to help each other! Theami Points can initially be received by doing things like checking in on Facebook at Theami during drop off or pick up, sharing our website posts and pages on Facebook, sharing reviews on Google and Facebook about your experience with Theami. After receiving a certain number of points, you will be eligible for things like free aftercare and/or free Holiday Break drop off care. The things you can do to earn points, as well as the cash in rewards for those points, will grow as participation grows. Once you have registered for the parent portal, you will have access to immediately gaining points by viewing and sharing things from the website. You will be able to check your point balance and the leaderboard by going to theamimontessori.org/leaderboard. We will also keep a manual board in the classroom for daily Theami point earnings when you check-in, etc. 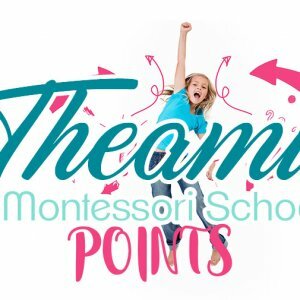 What types of things would you like to earn points doing? What kinds of things would you like to cash in and receive? We want to know!